**From the #1 NYT bestselling author of *****The Black Widow ***comes the thrilling new summer blockbuster featuring legendary spy, assassin and art restorer Gabriel Allon. A heart-stopping tale of suspense, Daniel Silva’s runaway bestseller,*** The Black Widow*****, was one of 2016’s biggest novels. Now, in House of Spies,***** ***Gabriel Allon is back and out for revenge – determined to hunt down the world’s most dangerous terrorist, a shadowy ISIS mastermind known only as Saladin. The thread leads Gabriel Allon and his team of operatives to the south of France and to the gilded doorstep of Jean-Luc Martel and Olivia Watson. A beautiful former British fashion model, Olivia pretends not to know that the true source of Martel’s enormous wealth is drugs. And Martel, likewise, turns a blind eye to the fact he is doing business with a man whose objective is the very destruction of the West. Together, under Gabriel’s skilled hand, they will become an unlikely pair of heroes in the global war on terrorism. But House of Spies is more than just riveting entertainment; it is a dazzling tale of avarice and redemption, set against the backdrop of the great conflict of our times. And it will prove once again why Daniel Silva is “quite simply the best” (Kansas City Star). "House of Spies" is the latest installment of the adventures of Gabriel Allon, art restorer and master Israeli spy and intelligence officer. This latest adventure does not disappoint as Allon and his associates track down a terrorist bent on destroying Western targets. The story's pace is quick and as always author Daniel Silva's writing is succinct yet entertaining. 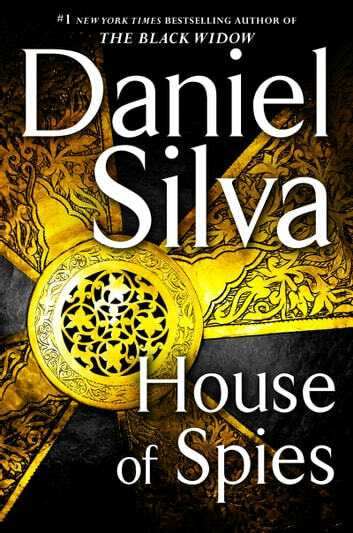 Again, another smashing hit from Daniel Silva. I couldn't put the book down. Lots of twists and turns as no one can do as well as Silva. Can't wait for the next one!!! Another winner by DaSilva . From beginning to end the reader is held in suspense wondering what the outcome will be . 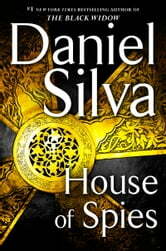 I have been a fan of Daniel Silva's Gabriel Allon since I was first introduced to him. I was unsure where his new position would take him... House of Spies answered that question and more. A great read indeed! LOVED this book! Had a difficult time putting it down but a person has to sleep!